Prior to hiring an electrical contractor, you should plan your project by walking from room to room, looking at all the walls, floors and ceilings to ascertain how many electrical sources you will need. Don't forget to include ground fault circuit interrupters (GFCI) devices for all outlets near water sources such as bathrooms, spas, kitchen counters and laundry equipment. Make a diagram, so that you can provide the contractor with an idea of your desired locations for outlets, switches, lighting and appliances. Call the contractor to find out how long they have been in business and ask for references from past and current clients. Anyone performing construction work in California on jobs that toal $500 or more in labor and materials must be licensed by the CSLB. Beware - unlicensed contractors are part of a multi-billion dollar underground economy that do not pay taxes, insurance or follow safety laws. Your electrician should be bonded and insured and if they have employees they must carry worker's compensation insurance. You may ask to see proof of liability coverage, business licenses, tax ID and bonding. You can view their history and information at www.cslb.org by entering the contractor's license number. Remember that the higher the number the newer the license and most likely the less experience they have. Obtain estimates or bids in writing. Ask the contractor if it can be emailed to you. Ask if the work is guaranteed in writing. Does the contractor use sub-contractors? Ask for both start and finish dates. 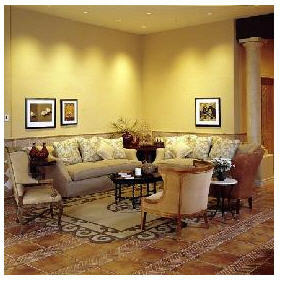 Will the contractor obtain the necessary building permits for you from your city building department. Copyright 2018 - Kremin Electric. All rights reserved.